← Would You Like to do a Healthy Food Experiment with me? This entry was posted in Herbs and tagged bulletproof, cancer prevention, cardiovascular disease, cholesterol lowering, cognitive decline, cognitive support, curcumin, dementia, detoxification, food, health, heart health, inflammation, joint pain. Bookmark the permalink. Tumeric loading is one of the more challenging components of my current health regime. 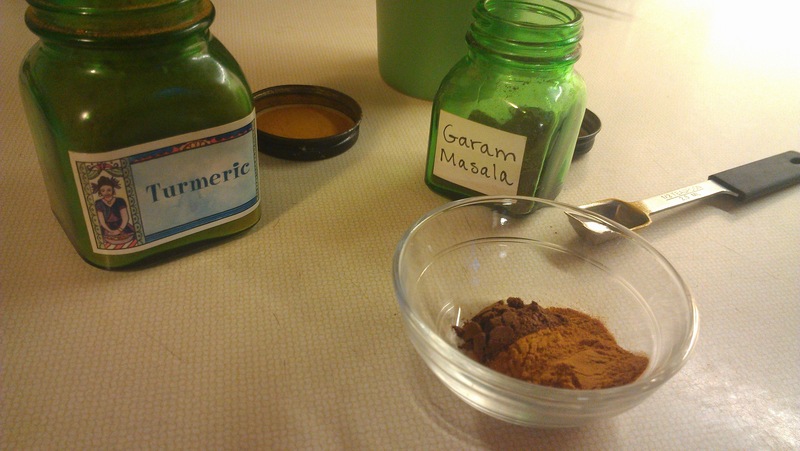 I consume a significant amount in both liquid and capsule form each day, but it is always a challenge to know how well my body is absorbing the curcumin. I also desperately miss coffee…not so much for the jolting effect, but as a warm an inviting way to start the day. I will definitely be adding this herbal alternative drink to my morning. I’m planning to add cinnamon (as I also struggle with blood sugar modulation) and maybe a tsp of black pepper to aid in absorption and add a little kick. Yum! 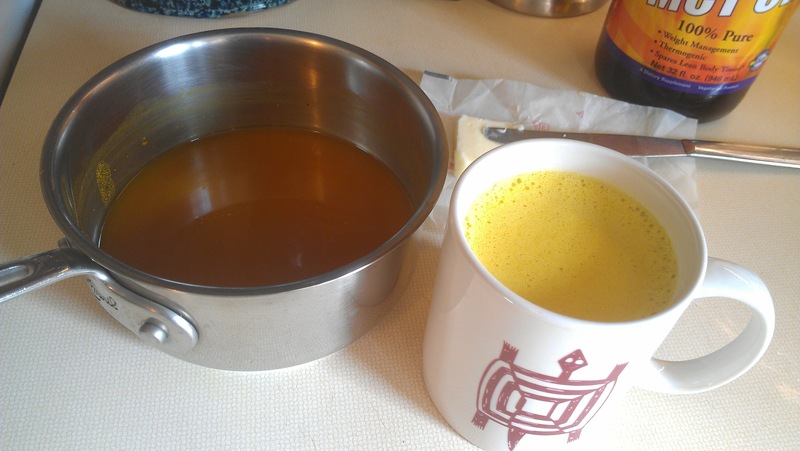 Made my first cup of bulletproof turmeric tea today. Yummy but got an instant headache along with nausea. What gives? Is it possible that my body wasn’t use to the fat or that the blender pulverize the protein too much? It didn’t make me sick when I had the sample at your talk Saturday. Thanks! Yes, it is probably the amount or type of fat. Try it with just some coconut oil and see if you body likes it better. I attended your medicinal herbs lecture in bentonville (thanks again for that, btw!) but can’t remember if the 1 tsp is for fresh turmeric or powder? And if I didn’t have fresh and wanted to substitute the powder, how much should I use? I loved the way it tasted at the lecture! I am so happy you liked it. When I use the powder, I use a teaspoon. For the fresh, I use a tablespoon. Enjoy!